Quick overview The course of the Meander is so famously indirect that the river's name has come to signify digression - an invitation Jeremy Seal is duty-bound to accept while travelling the length of it in a one-man canoe. 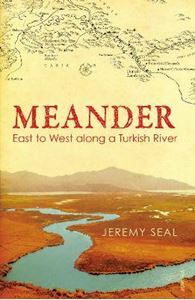 The course of the Meander is so famously indirect that the river's name has come to signify digression - an invitation Jeremy Seal is duty-bound to accept while travelling the length of it in a one-man canoe. At every twist and turn of his journey, from the Meander's source in the uplands of Central Turkey to its mouth on the Aegean Sea, Seal illuminates his account with a wealth of cultural, historical and personal asides. It is a journey that takes him from Turkey's steppe interior - the stamping ground of such illustrious adventurers as Xerxes, Alexander the Great and the Crusader Kings - to the great port city of Miletus, home of the earliest Western philosophers. Along the way Seal unpicks the history of this remarkable region, but he also encounters a rich assortment of contemporary characters who reveal a rural Turkey on the cusp of change. Above all, this is the story of a river that first brought the cultures of East and West into contact - and conflict - with one another, its banks littered with the spoil of empires, the marks of war, and the detritus of recent industrialisation. At once epic, intimate and insightful, Meander is a brilliant evocation of a land between two worlds.